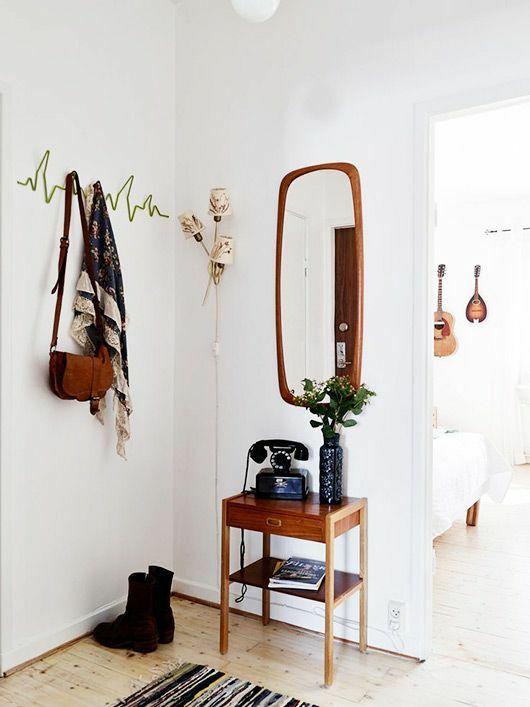 So to create that first right impressions, there are a few things that every hallway needs to make it functional and welcoming. Now it maybe that you only have a small space and therefore are limited to what you can fit in. 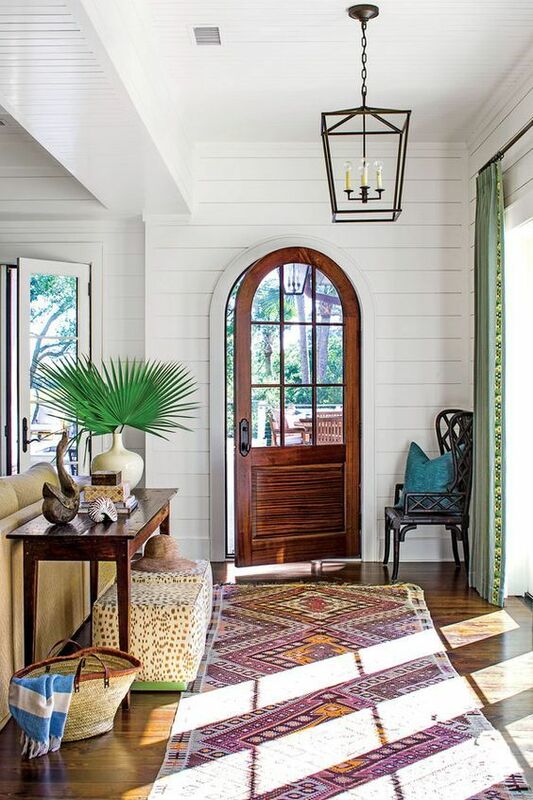 That’s ok, you can still apply a few of the key elements to create a great entrance. A runner / rug – The hallway sees a lot of foot traffic, a rug or runner not only provides a soft welcoming first step but it also provides protection to your floors. Whether you choose natural fibres like seagrass (Ikea have some good value options), a traditional Persian rug or maybe something like a Moroccan Kilim (my favourite) don’t forget to to lay an anti-slip underlay. Guests tripping over your rug, a warm welcome?? Err No! No room for a something this large, then a doormat at least is a must. There are so really fun doormats available with quirky little quotes and messages, a great way to add your personality to your home. 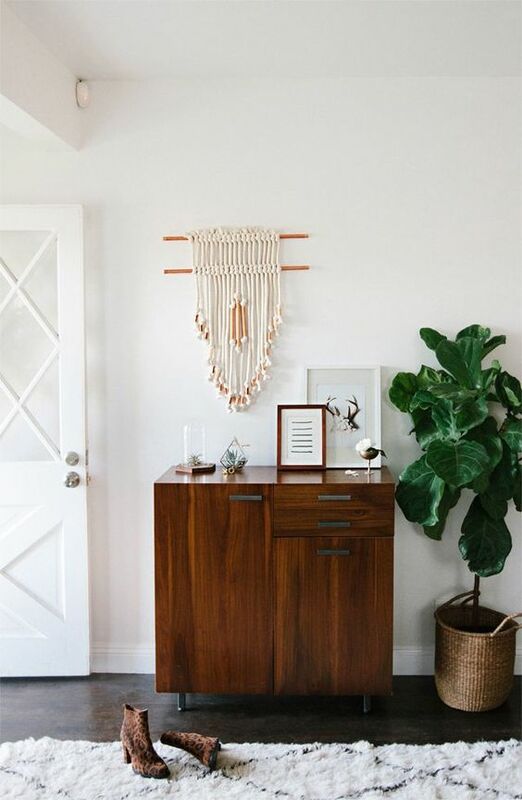 A console table or shelf – We all need that space as you walk in to drop off keys or the post. 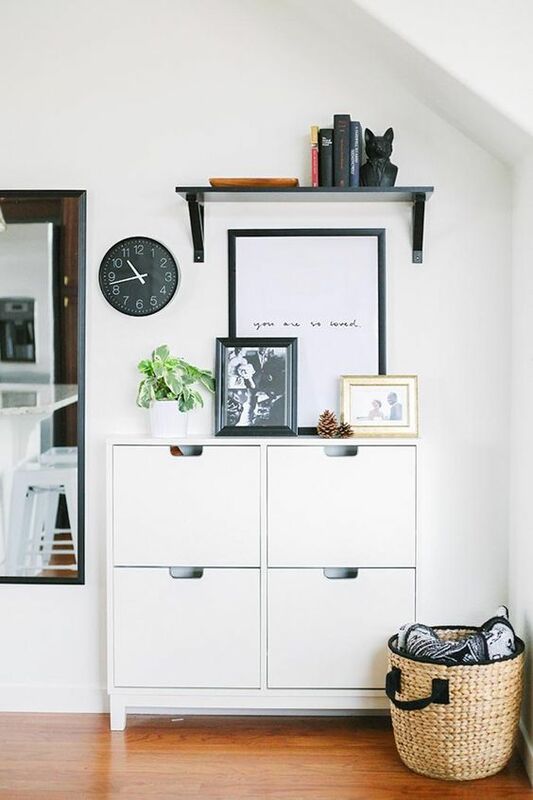 A floating shelf is a good option if space is limited. Add a picture and a plant or flowers to add a bit of interest and personality. Make an effort to keep it tidy (especially when opening the post) maybe add a small tray to put your letters on. Your guest do not need to see rip opened envelopes still sitting there from last month. Don’t forget to about the space under the console, especially if it doesn’t have a lower shelf. Slip under a stool or some storage baskets to hide away picnic blankets, dog leads, shopping bags and other bits. 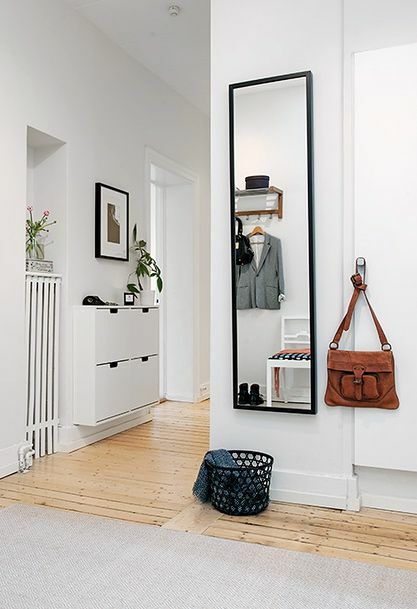 A mirror – A wall mirror lets you have a quick final check of your appearance before you leave the house, but also gives your visitors a chance to check their appearance when they arrive, especially if they have had a long journey. A warm light / lamp – An overhead light is essential for when you walk in on a dark night, but I really like have a lamp in the hallway. It produces a more warm, welcoming glow that’s not to bright and glaring. 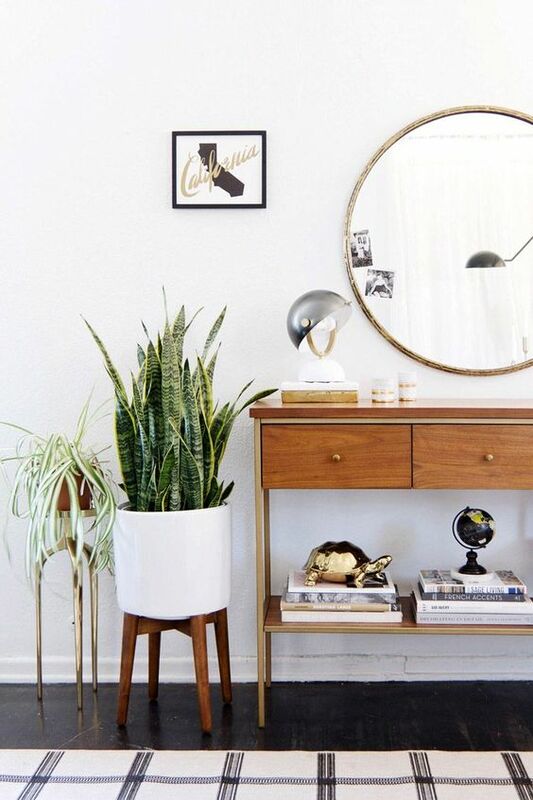 Some fresh flowers or greenery – fresh flowers and plants make any space feel homely. The benefits of greenery in your home are huge, read more about them in my earlier post here. Too me they show that you care about the effort your put into your home. A seat or bench – A seat by the front door is always good thing. Perfect for dropping shopping bags off while you take of your coat or somewhere to perch while you remove or put on shoes. Again is space is an issue then opt for just a small stool. 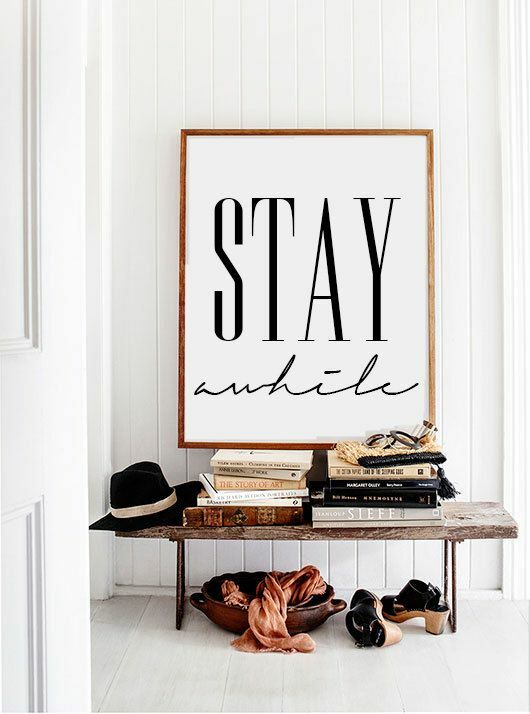 Check out the pictures, for more ideas then jump over to my ‘Hallways and Entryways’ board at Pinterest. So armed with this information and inspiration, go forth and make an entrance. 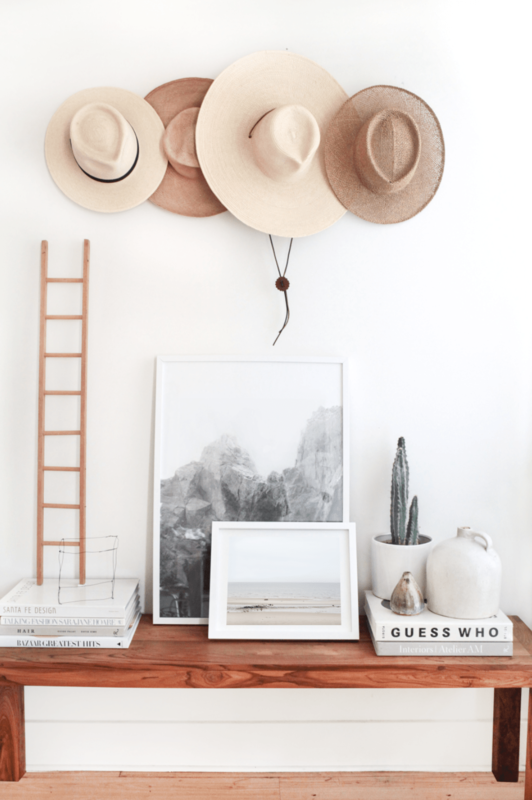 Next ›Etsy Treasuries – Teak-Tastic! !